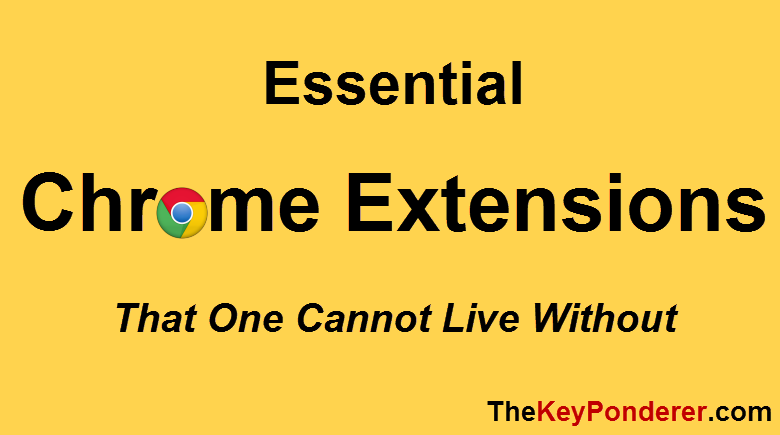 7 Essential Chrome Extensions That One Cannot Live Without - Blogger I.Q. We are going to see 7 important and useful Chrome Extensions that can help no matter what profession or job you are in. Of course, these are all FREE! These are in particularly useful for long-time and distraction less browsing experience. Without much further ado, here is the list along with a hyperlink to them in the Chrome web store for you to install and try it right away. One Tab: I cannot stress the use of this extension any further. This is THE most important in my vault of Extensions. Since most of us end up opening a lot of tabs, especially that many blog posts have lots of hyperlinks in them, our browser easily will have lots of opened tabs in no time. 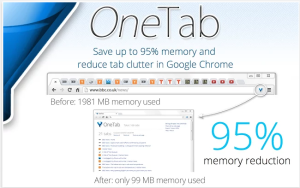 This Chrome extension helps in combining all my open tabs to just 1 tab, thus saving the precious memory and the processing speed of your computer. 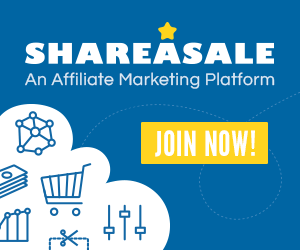 It has great features too – like you can even import and export the URLs for later use or to share with any co-worker or friend. Highly recommended. Google Dictionary: Let’s admit, nobody is perfect. There comes a time when we come across a new word that we don’t know the meaning of it, yet. What do we do, turn to Google to define it? Or pick up the traditional age-old Dictionary to see its meaning? Or ask someone? Well, let’s combine these all – how about simply double-clicking on that new word to see what it means? Awesome, isn’t it? 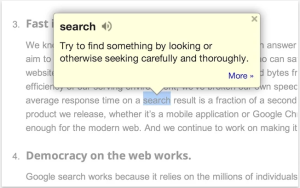 Google Dictionary Chrome Extension helps us with just that. 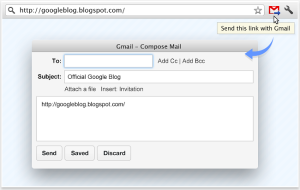 Send from Gmail: This extension is very useful if you use Gmail. I do and I hope you use at least one Gmail account. 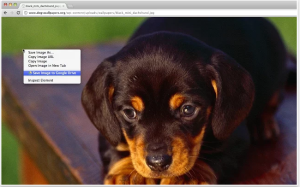 With this extension, you can easily send a web page to your friend through Gmail with a couple of clicks. Give it a try. Save to Google Drive: Google Drive, as you might know, is a place to store a lot of our files. If you are using Google Apps, then Google Drive is a part of it, no doubt. 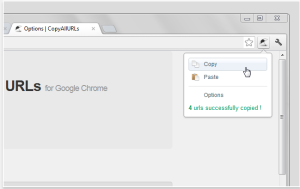 So, whenever you want to save a thing to Google Drive, instead of doing it manually, use this extension. Grammarly: There is no reason why this extension is given as the penultimate item in this list. And I am in love with this ultra useful Chrome Extension since the day I found it. It helps you correct spelling, grammar when you type. It also gives you cool reports on how many words you’ve written, how many mistakes you’ve made and how good you stand among other writers across the world. It’s ok to make mistakes when you write something (type, I mean) and it’s perfectly OK and good to not to keep correcting whatever you are writing. Grammarly does that for you. Just write. Once you are done, there you go. 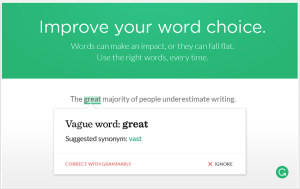 Grammarly shows you the changes in either Green or Red underlines. Last Pass: This is a password manager extension. Since I use a lot of subscription based websites and services there comes a time to log into them every time I use it. 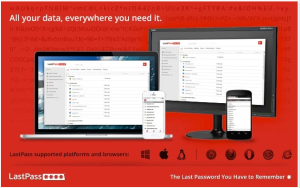 LastPass makes that process seamless. You can either make it remember them and auto-populate for you or just help you to see the saved password whenever you want and authorize to. Remember, however, to back them up periodically and also log out of the master id and password when you are not browsing. Overall, Last Pass is a godsend. Just use them and let me know how better your browsing experience has become. Conclusion: So, those were the 7 incredibly useful Chrome Extensions I use everyday while browsing. Do you also use any or all of these? Speak your mind in the comments area below and let’s share any other Chrome extension that you cannot live without. By the way, this post’s title was a pretty dramatic one isn’t it? I certainly can live without them. But what I meant to say was the browsing experience becomes a blissful experience with the above-mentioned tools that are hip!